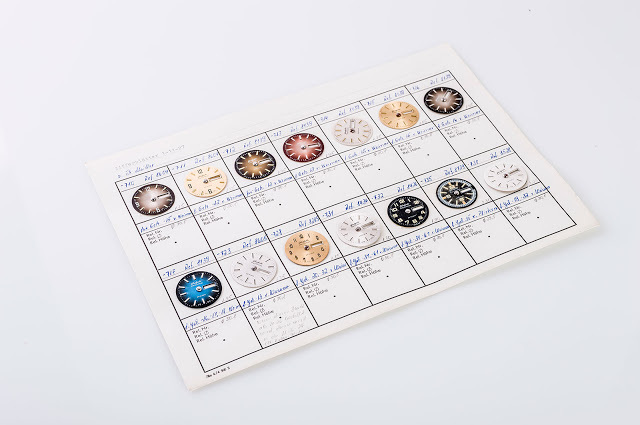 The special exhibition at the German Watch Museum Glashütte, located just round the corner from the premises of Glashütte Original and A. Lange & Söhne, covers post-war watchmaking in Glashütte, a small town near Dresden. 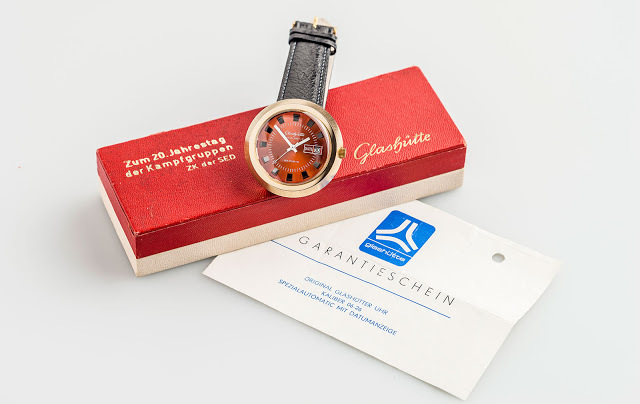 Its exhibits cover the timepieces and literature of state-owned, East German watchmaking, which despite it drabness, was responsible to rebuilding the watch industry in the town, keeping it alive until the Berlin Wall fell, allowing the Glashütte brands to thrive as a capitalist enterprises. 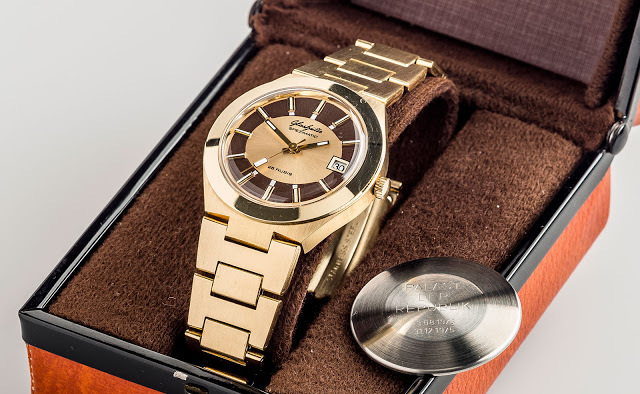 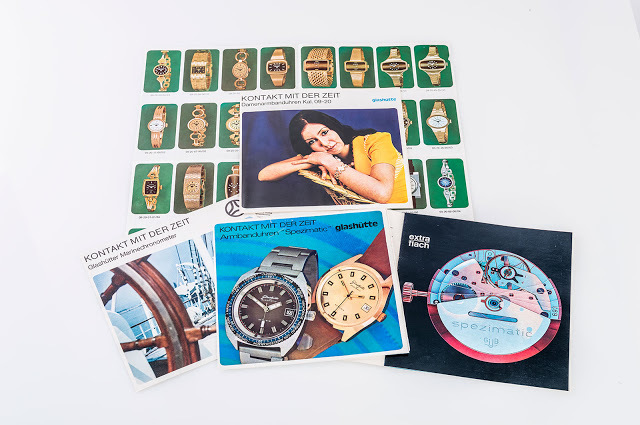 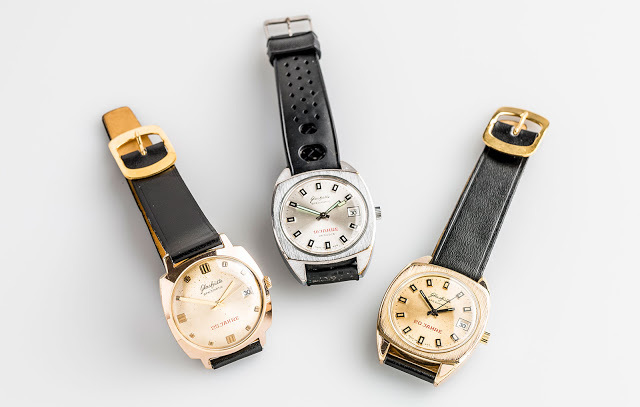 Many of the historic timepieces in the exhibition have a style distinctive to East German watchmaking, functional and inexpensive looking yet charming. 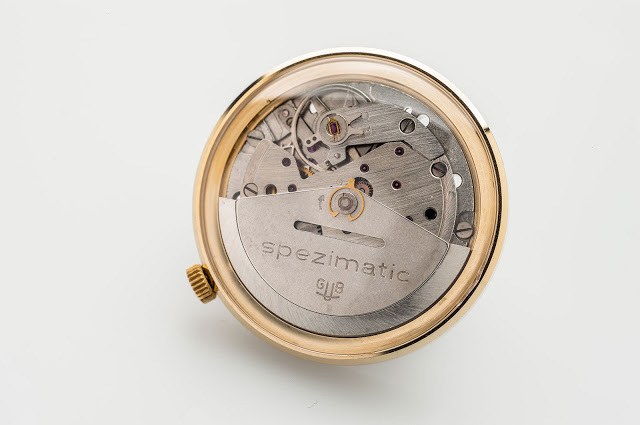 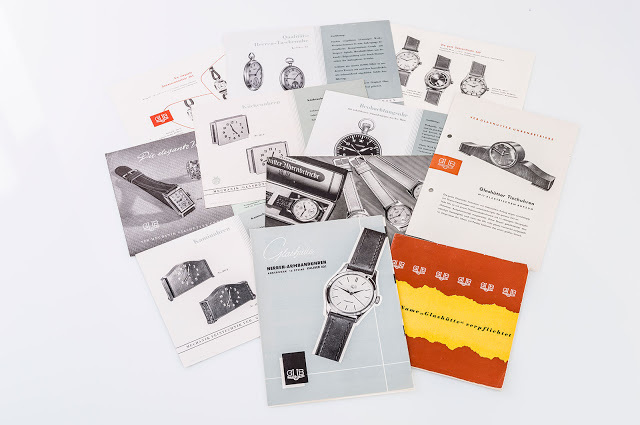 Several of them are the signature Spezimatic self-winding wristwatches, arguably the best known product of the VEB Glashütter Uhrenbetriebe (GUB), the state-owned enterprise that controlled all the watchmaking in Glashütte. 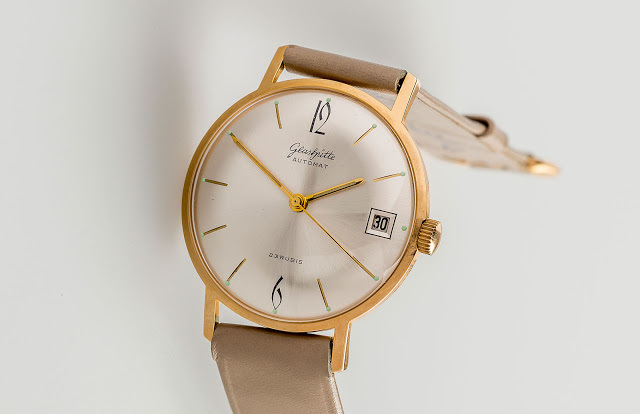 A specific model of the Spezimatic – a contraction of spezial automatik – from the 1960s with distinctive Arabic numerals serves as the inspiration for the Senator Sixties from Glashütte Original, whose parent company the Swatch Group sponsors the foundation that runs the museum. 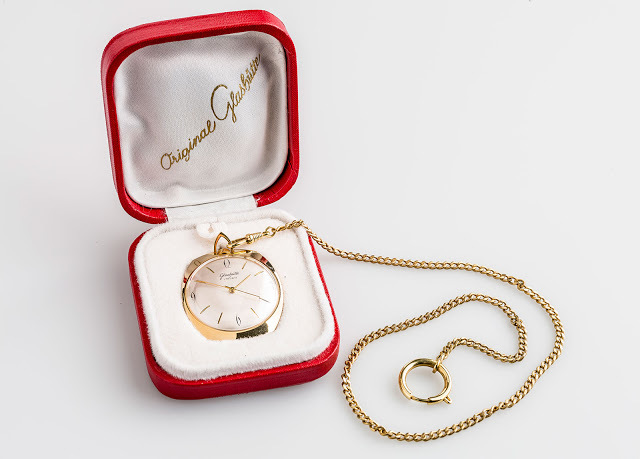 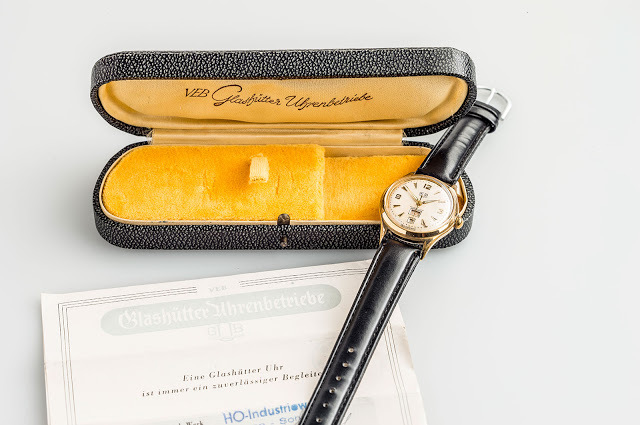 The special exhibition dedicated to GDR watchmaking is open till November 1, 2015. 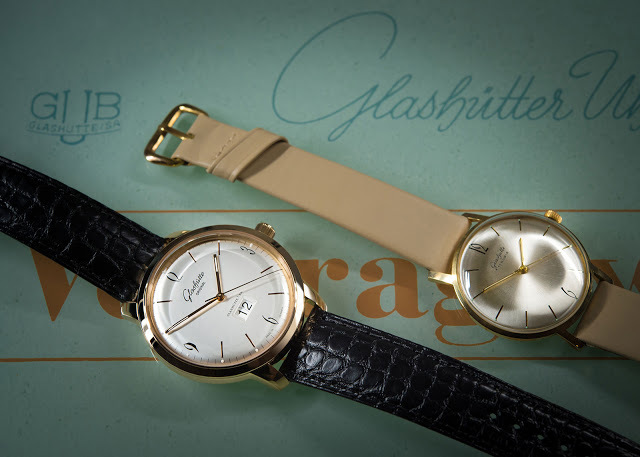 The German Watch Museum is located at Altenberger Straße 1, D-01768 Glashütte i. 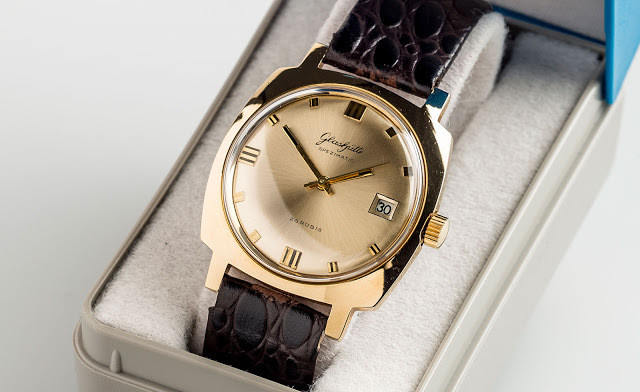 Sa., and also online.